If you are experiencing loose teeth as a result of periodontal disease, laser gum treatment may be recommended in an attempt to save your teeth. This procedure is minimally invasive and has been proven to help regenerate bone tissue in many cases. Periodontal disease damages the bone and tissue structures that hold teeth in place. In order to repair these structures, it may be necessary to perform a soft or hard tissue graft. This involves taking a bone or tissue sample and grafting it onto the affected area. Once the area has healed, your teeth will have a more stable support system which helps to reduce the incidence of tooth loss. In cases where periodontal disease has damaged teeth beyond repair, it may be necessary to extract those teeth and replace them with a prosthetic. For many patients, dental implants are considered the healthiest solution. It is never normal for teeth to become loose. 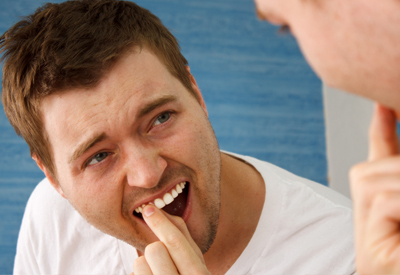 Patients suffering from loose teeth in Sacramento, CA can contact Dr. Smith to discuss treatment options today!